Our process gets your website off the ground. Our data-driven process for web design, designed for any size organization. For the past twenty years, Bombastic’s mission has been to create best-in-class websites for every organization – no matter their size, budget, or objective. To accomplish this, our work demands not just a systematic process based on the latest web design and digital marketing standards. Our process also needs to be scalable, to match the individual needs of each client. As a result, we developed our Web Design Road Map. With six distinct steps, our process segments our work into areas of focus. This ensures every client benefits from the same data-driven process. Next, we customize the work within each area to create tailor-made programs each and every time. For example, a site redesign will result in a very different program than a social media promotional campaign. This unique approach yields proven results for our clients. 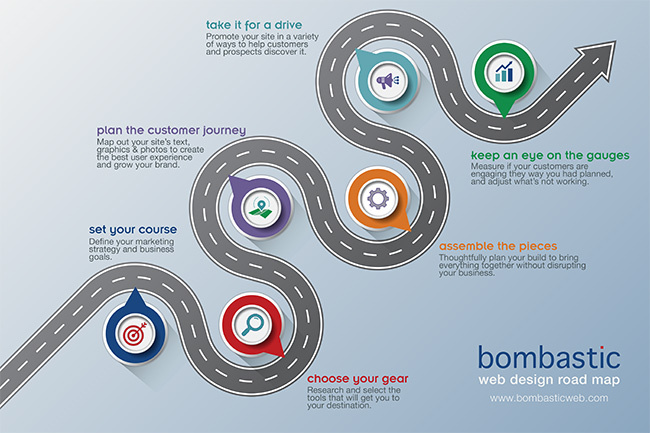 Download a free copy of Bombastic’s Web Design Road Map to learn how we create successful websites from start to finish. Set The Course. Define the underlying marketing strategy and business goals. 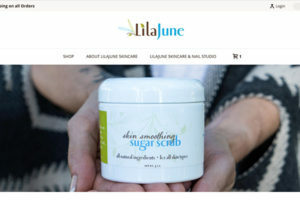 Does the site need to generate sales leads? Is the site to establish expertise in a field? Select The Gear. Research and select the tools that will support our client’s goals. What type of coding platform is best for the site? Does the site need added features like multi-media content, a blog or eCommerce capability? Plan The User’s Journey. Create and organize the site’s text, graphics and photos to create the best user experience and grow our client’s brand. Does the client have an existing brand that is appropriate for a mobile-first website? Does the site need high quality photos or rewritten text to support the underlying goal? Assemble The Pieces. Thoughtfully plan your build to bring everything together without disrupting the core business. What is the smoothest way to build, review, test and deploy the site? How can we minimize impact on the client’s existing online presence? Take It For A Drive. Promote the site in a variety of ways to help existing customers and new prospects discover it. What marketing campaigns and channels match the client’s business goals? Keep An Eye On The Gauges. Measure if website users are engaging they way the client had planned, and adjust what’s not working. What analytics data is needed? What social media engagement will support the client’s goals? Research based, best practices in web design. Scaled for any size business. Our process focuses on our clients and the results they need. Contact us to set up a free consultation to learn how we can create a custom program for you. We love to brainstorm!